U.S. Court of Appeals for the 3rd and 6th Cir. U.S. District Courts for the S.D. Ohio, S.D. Md. Paul B. Martins is a graduate of Notre Dame University and the University of San Diego School of Law, where he excelled as both a published Law Review member and on the Moot Court Board. Upon graduation, he served several years in the United States Army Judge Advocate General’s (“JAG”) Corps as a prosecutor, criminal defense attorney, and legal advisor to the Deputy Assistant Secretary of the Army – Review Boards Agency. During his military service in the JAG Corps, Major Martins tried more than 100 cases. 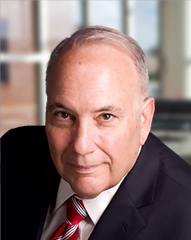 Since entering private practice in 1987, Mr. Martins has specialized in complex civil litigation in the areas of civil rights, securities class actions, personal injury, and in representing whistleblowers in False Claims Act cases. He has co-counseled many False Claims Act cases with Mr. Helmer, including trying two to conclusion before juries. Mr. Martins is also rated “av” by the Martindale Hubbell Law Directory and is listed in the latest edition of Best Lawyers in America, Top Lawyer, Annual Guide to Commercial Litigation, November 2011, as well as Top Attorneys in Ohio 2012. Mr. Martins, a native of Hawaii, is a Master of the Bench and Executive Committee member of the Potter Stewart American Inn of Court and a designated mediator for the United States District Court for the Southern District of Ohio. He was lead counsel representing the estate of Roger Owensby in a federal civil rights case which was won on summary judgment, affirmed by the 6th Circuit Court of Appeals and produced the largest police brutality settlement ever in the City of Cincinnati.